In preparation for a larger scale future project that addresses sustainable farming challenges in India, the World Bee Project and the University of Reading School of Agriculture, Policy and Development (SAPD) partnership in collaboration with G B Pant University of Agriculture and Technology, and the Himalayan Farmlands Initiative are ready to establish field trials to promote productive and sustainable farming based on the concept of Ecological Intensification. We are collaborating with M S Swaminathan Research Foundation (MSSRF) established in 1988 by the agricultural scientist Professor M S Swaminathan to accelerate use of modern science for sustainable agricultural and rural development. and investing in ecological infrastructure by protecting, restoring and connecting patches of natural and semi-natural habitats throughout productive agricultural landscapes. The World Bee Project approach includes integrating farmers’ diverse knowledge and values into strengthening indigenous knowledge that nurtures pollinators and pollination, as well as knowledge exchange among researchers and stakeholders. Starting with a pilot research programme in the Kotabagh region (in the State of Uttarakhand) we are investigating the potential for Ecological Intensification and testing novel farming practices to improve crop pollination and pest control and reduce reliance on unsustainable and harmful inputs such as chemical pesticides and inorganic fertiliser. In addition, The World Bee Project partner Oracle Cloud has committed to developing and donating high-level affordable relevant technology and online tools to The World Bee Project to help it to contribute to agricultural transformation. 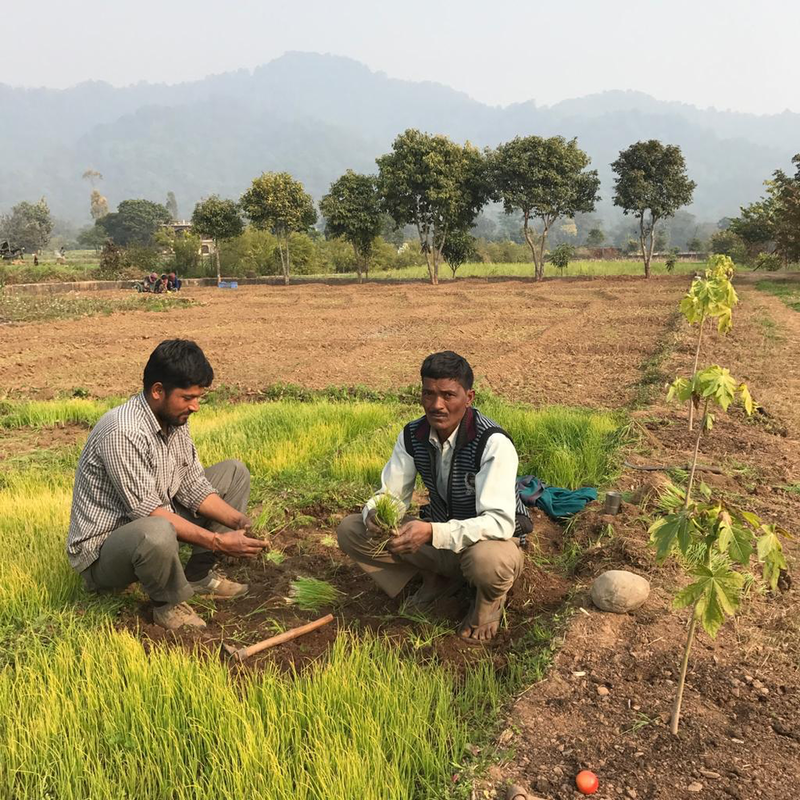 In India, smallholder farmers constitute more than 50% of the national population of over 1.3 billion and they are vital for India’s agriculture and rural economy. Farmers can help maintain pollinator abundance, diversity and health by using innovative practices that integrate local and scientific knowledge and experience and by diversifying farms to make food resources and shelter continuously available to pollinators. In the world, overall, 90% of 570 million family farms are owned and operated by over 1.5 billion people and play a key role in global food production and genetic diversity of food supply. These smallholder farming families own less than two hectares each but operate about 75% of the world’s agricultural land. Many are poor and have limited access to markets and services. Their choices are constrained, but they farm their own land and collectively produce food for a substantial proportion of the world’s population.